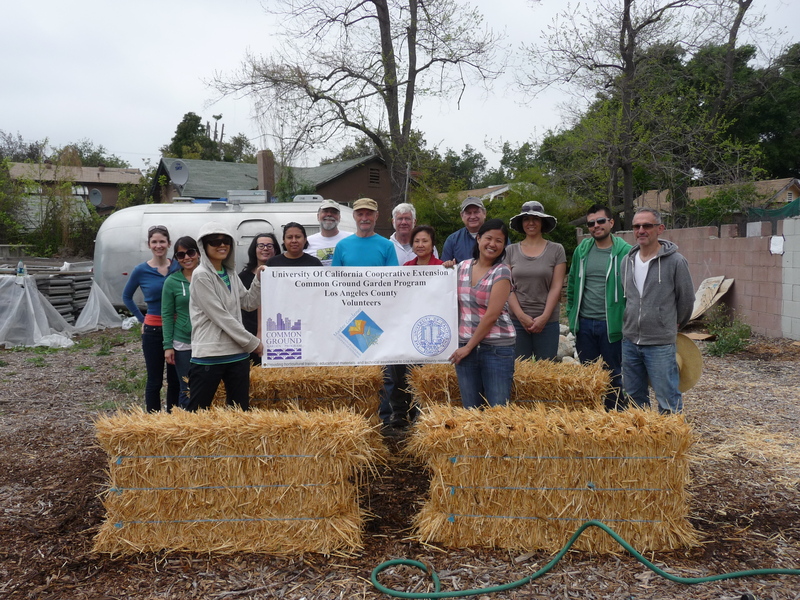 Pasadena Learning Gardens is a non-profit organization originally dedicated to understanding and transforming the way we produce, distribute and consume food. This path revealed much about the weaknesses and opportunities we face. We now look to the connection and collaboration we see in nature as a model for our personal and collective wellness. We advocate for our wellness program of eating well, moving more, and staying connected. We educate communities to understand what “good food” is and how to grow, buy and share it; we build and support learning gardens; we educate our communities to live more sustainably; and we facilitate community transformation through collaboration with neighbors on a similar journey. Since 2007 we have assisted in the development of multiple outdoor learning facilities in the Pasadena area including the Coral Learning Garden (our home until an unfortunate change in ownership), school gardens at John Muir HS, Aveson, and Norma Coombs in PUSD, Luther Burbank Middle School in LAUSD, and most recently in partnership with the Armory Center for the Arts we have had learning gardens at The Farmory and La Casita Community Center. Along the way we have attended hundreds of meetings, influencing and being influenced by our community. We are the filmmakers of Back to Eden, a documentary about organic gardening. We were contacted by you a while back and have been wanting to reconnect with you! The projects you are doing, including the involvement of students, being an inspiration to local schools and your neighborhood is incredible. You guys are a living example of what we desired people to take into their hands after viewing Back to Eden, and you guys have been doing it already! We would love to feature you in our next Newsletter! Visit our site backtoedenfilm.com under the News page to see previous examples. Thank you again for your great works, please be in touch! This is great! I was a participant in an AmeriCorp project in Northern California, Siskiyou County, where all the science teachers were trained in the Adopt a Watershed Curriculum. We were training the students to assist the Forest Service and Department of Fish and Game in the forests and on the rivers, learning to support the watershed. I set up a garden at Mount Shasta Elementary School through the project, and an outdoor classroom in Butte Valley at the wildlife refuge there. This is a wonderful project you have. I hope to connect up with you in my plans to get permaculture gardens going in my neighborhood. I hope you have connected up with the “Sod Father,” in Altadena, across from the cemetery, who has an incredible compost oasis of trees in the middle of the city! Tim is very interested in educating schoolchildren and getting inmates and the military growing gardens! Thanks for staying in touch! Just bought a house with a yard for a great garden – I may need your expertise to bring it to life! Hi, came across your website from the Shed announcement. 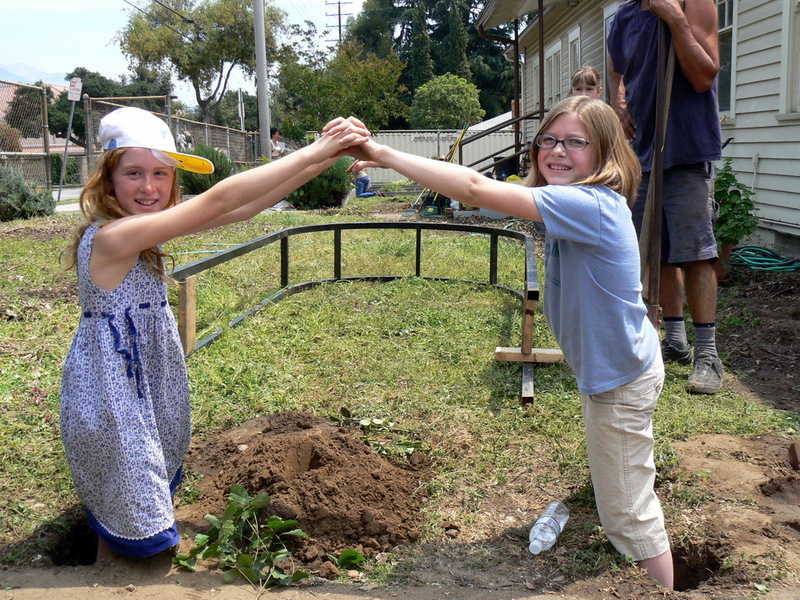 Any chance you might have some hands to volunteer to tend a permaculture orchard at Arcadia High School? LaLoma designed it, my students and I planted it and it’s been growing for 4-5 years now. I’m out on childcare leave and the school was/is considering paving the area unless we can show a solid plan to maintain it. There are dozens of fruit trees and they are finally bearing. It’s a gem! Lots of food to harvest and great opportunity to demo fruit tree care. Would love to partner! I think we can make this work. I don’t have excess free resource right now but am working to have a group of community groups interested in helping. We’d be happy to look at the site and do some brainstorming and I’m confident we can find a solution. In the end we can leverage the fruit into labor.